Ron Toufeeq is senior vice president of operations, asset management and engineering for Pride International. The Pride North America is contracted to work offshore Egypt for BP through 2010. The industry saw a slow-down in contracting speed in 2009 compared with the previous four years, but with oil prices staying in the $70 range, confidence is building up again. 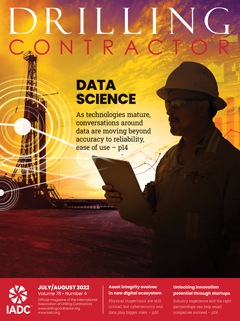 DC: What are some of the most critical issues facing the drilling and completion industry in terms of technology? Toufeeq: The industry is going deeper, both in water depth and drilling depth. That introduces many new challenges. We need to have the best hydraulics downhole, and that means having the most efficient high-pressure mud pumps. We need derricks rated for the huge loads we see. We also have to drill smartly. In other words, we have to make sure that we’re making fewer trips in hole to minimize “non-drilling” time. 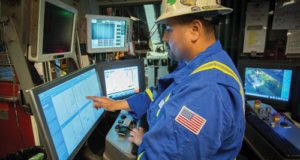 We have to use smart technologies to control vibrations in the drillstring, monitor downhole conditions and handle drilling based on what we see down there. For example, how fast we rotate the drillstring and how much weight we put on the bit. We also have to continue improving efficiency. We need equipment that can do offline activities, especially in completions and production. Clients are paying high dayrates, and they want highly efficient units. We should be able to do offline work such as subsea construction, landing subsea trees and testing umbilicals, all without being in the critical path. And we need the right equipment for that. As an example, we’re installing 160-ton compensating cranes on our newbuilds that can land a subsea tree in 10,000 ft of water. These are things that bring value to our clients. We are also using technologies like managed pressure drilling and dual-gradient drilling to go deeper, through very difficult formations. DC: What are the pressing issues with regards to the market side of things? Toufeeq: Clearly, there is uncertainty. Is the worldwide economy healthy enough to generate demand growth for energy, especially fossil fuels like oil and natural gas? Will oil and gas prices be healthy enough to support spending levels necessary to find more oil and gas reserves? Will E&P spending levels support drilling demand, therefore utilizing the worldwide drilling fleet, which is growing? These are some of the things we consider when looking ahead, and we know that as the market stabilizes, it will build in much-needed confidence. DC: What should contractors keep in mind when the market nosedives like it did in late 2008 and 2009? Toufeeq: The key thing is we must have financial discipline. We also have to retain key personnel and maintain equipment in an efficient way. By efficient, I mean carrying out risk assessments of major overhauls and spending money wisely. For example, if every five years we have to change out certain pieces of equipment, we do a risk assessment, then take mitigating measures. Take thrusters: By doing things like monitoring oil samples, we might be able to postpone the overhaul from a five-year cycle to a 7 ½-year cycle. We have to do smart things like this on an ongoing basis. We’re also focused on training and people at all times. The challenge is holding on to key employees and simultaneously maintain assets in a manner that will add long-term value. We don’t want to neglect maintenance in a down cycle and try to catch up during an up cycle. That is nonproductive. DC: Volatility can cripple long-term plans if companies aren’t careful. Is there any way for this industry to manage through the ups and downs of commodity prices? Toufeeq: At Pride, we have created a portfolio approach where we have long-term and short-term contracts in the basket. We want to be more risk-averse on our low-spec equipment and take more chances on the high end. Spread out the contracts so they don’t all mature at the same time. Pride currently has a $7-billion backlog, which puts us in a strong position to ride this down cycle. We have been very successful in this approach. 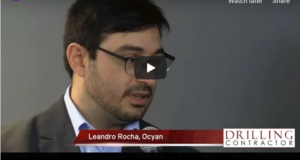 DC: What about your clients? Have operators been more reluctant to sign long-term contracts due to fear of sudden drops in oil prices again? Toufeeq: We have seen a dip. The last major meltdown had a huge impact on every industry. In ours, it definitely slowed down the contracting speed. From 2005 to 2008, we had significantly more contracting every year than we had in 2009. There was a huge drop in confidence. People were not certain where oil prices were heading. But we do see confidence slowly building up again, especially if oil prices stay in the $65 to $75 range. Oil companies have to have a long-term vision, too. It takes nine to 10 years to take anything on-stream. They cannot stop ongoing long-term plans when they see small fluctuations. It has a huge impact on production in the long run. We hope to see better results in 2010. Also, in 2009 we had the highest number of exploration successes in terms of discoveries. That will start a huge campaign for production drilling in years to come. DC: So are any rig technologies being driven by operators’ need to push development and production drilling in the coming years? Toufeeq: As I mentioned earlier, offline capabilities is a very strong requirement. Clients need production-friendly units and are asking for subsea construction features. That means huge, open deck space where they can bring in completion equipment and easily install them without major downtime or initial time to hook up the equipment. We are focused heavily on production requirements. We’re also constantly trying to balance both drilling and production requirements on our newbuilds. That’s why we’ve been actively pushing offline subsea construction activities on our drillships. DC: What other issues haven’t we been able to overcome in this area? 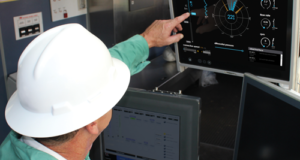 Offline capabilities on drillships are becoming a strong requirement with operators, who are more and more seeking subsea construction features. 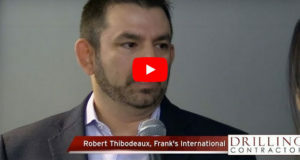 Pride has been focusing on balancing drilling and production requirements on its newbuilds, said senior vice president of operations, asset management and engineering Ron Toufeeq. 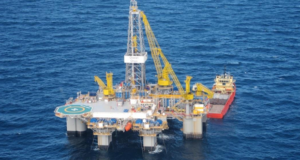 Above, the Pride Africa drills for Total offshore Angola. Toufeeq: I wouldn’t say they’re things we haven’t been able to overcome. We are designing and installing independent brine systems. That means we can bring in completion fluids and have a dedicated flow system without using the same lines as for mud. We constantly try to upgrade our brine storage capacity, completion fluids capacity and ability to use them independently. We are introducing these features on our existing units, and all of our four new drillships have this. 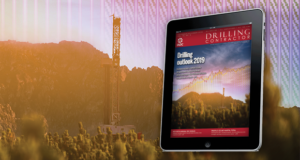 DC: As the industry continues to venture deeper, both in water depth and drilling depth, what aspects of rig design or equipment are being pushed to their limits? Toufeeq: As we go deeper, we’ll need higher tension capacity. 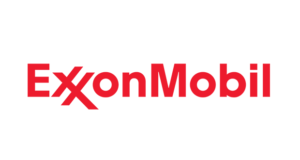 We are looking at 3.6 million-lb tension capacity for deepwater. We have started exploring 1,250-ton handling equipment and the latest technology on mud cleaning and mud pumps. The hydraulics downhole are crucial as we go deeper and require larger-ID drill pipes so we can drill these deeper wells. 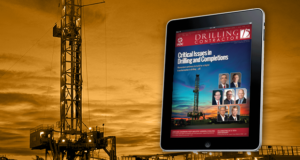 DC: Is current hydraulics capacity the limiting factor in how far out wells can go? Toufeeq: I wouldn’t say it’s the limiting factor. 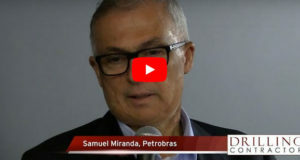 We need to have efficient cleaning systems, the right drill pipe, the right mud pumps. It’s not just one thing; the entire system has to make sense. We’re also trying to upgrade top drives to 1,250 tons and minimize top drive downtime. We have the 1,000 tons on the newbuilds, but we are looking at 1,250. Some of our other rigs already have 1,250, and that’s where we are headed. 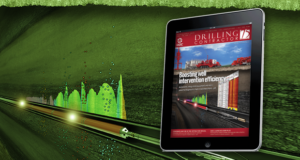 DC: You mentioned managed pressure drilling earlier as one technology that’s enabling difficult and deep drilling. Have you used MPD on your floating rigs? Toufeeq: We just started a well from a floater that will be one of the most difficult wells this client has drilled. 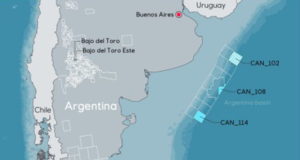 It’s going to be a 9-month-long well, a very complex managed pressure drilling well. It will go through very difficult formations. This is going to be the shining star for us, though I can’t give you too many details now. DC: What are the obstacles you’ve overcome in order to deploy MPD from this floater? Toufeeq: It needed some very specifically designed equipment like a rotating head and a custom-made slip joint. A lot of specific equipment has been installed for this particular well. DC: Your four newbuilds are coming out of the shipyard approximately a half-year apart from one another. Was that intentional? Toufeeq: I don’t know if it was intentional, but it worked out great for us. The first newbuild delivery to us in February 2010 is on schedule, and we’re in the final commissioning phase. We’re very focused on getting these rigs crewed and making sure our personnel are well trained. We have set up a competency training program on our rigs to verify that our folks have been trained as we expect them to be. DC: Pride was the first company to achieve accreditation for a worldwide competence program under IADC’s Competence Assurance Accreditation. 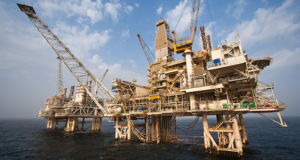 Toufeeq: Yes, it encompasses more than a dozen rig positions. It identifies the skills required, then we ask the guys to demonstrate their skills by taking technical and practical tests. We also verify the results by sending out an audit team. The biggest challenge we face is always safety. We have a moral obligation to every person on the rig to bring them back safely, to provide a safe environment. The industry has been working over the previous two decades to reduce manual-handling, but the advent of mechanized pipe-handling equipment has presented a new range of safety issues. The necessity of designing safety into the functioning of the equipment has not kept pace with the installation and use of mechanized equipment. A corollary issue is the supervision of simultaneous operations. The rig floor has historically been the focus of safe working practices, as it was where most hazardous activities occurred, but now there are activities in various areas around the rig that have as many, or more, risk-laden operations. 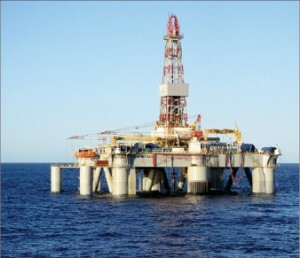 Overall, the concern is effective control of work and hazard recognition/risk assessment, which are made more difficult due to the numerous activities around the rig and a lack of experiential knowledge of the interface of mechanized components. 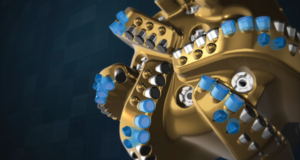 DC: Software problems can also pose significant problems when starting up these new drillships due to the extremely complex equipment onboard. How are you addressing that? Pride is upgrading the brine storage capacity and completion fluids capacity on existing units. It’s also trying to upgrade top drives from 1,000 tons to 1,250 tons and minimize top drive downtime. 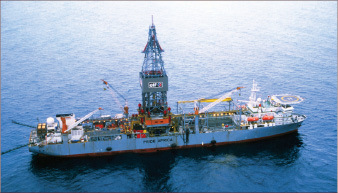 Above, the Pride South Pacific is drilling offshore Equatorial Guinea for Noble Energy. Toufeeq: The real issue there is management of change. What happened previously was that software got changed but there wasn’t always a record of what was changed and how it impacted associated processes. That can cause big problems. People didn’t understand how the software was supposed to operate after changes were made. The management of change process is crucial to ensure that software changes are made as documented and the crews are made aware of the change and impacted processes are updated and implemented. DC: What will be Pride’s growth area in the next few years? Toufeeq: We hope it will be deepwater. 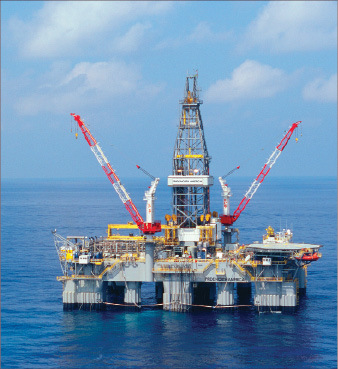 We want to have the highest quality assets in deepwater. Toufeeq: Obviously we’ll look at the three biggest – Gulf of Mexico, West Africa and Brazil. We’re also looking at the Arctic, which is an area that is slowly opening up. But our biggest goal in the next couple of years is to have these drillships come out and have a smooth start-up. It’s a huge challenge, and we hope to demonstrate to our clients that we have trained our people to the highest standards, that they can take the units and start them successfully without significant downtime.